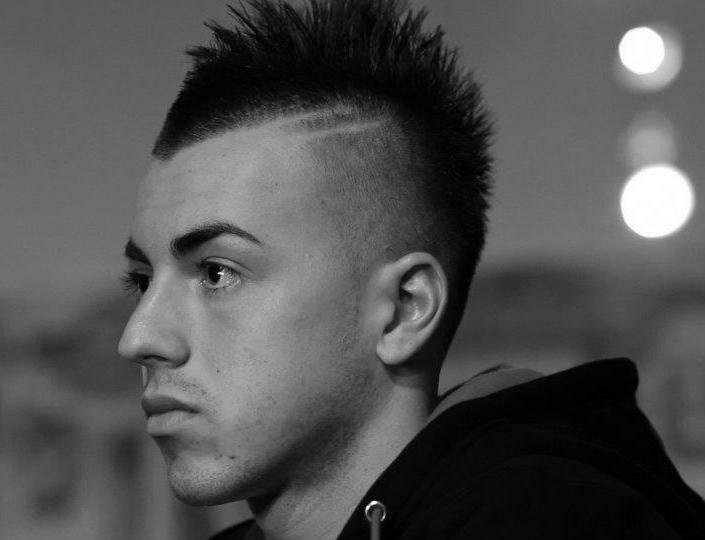 Stephan El Shaarawy was already creating something of a buzz at junior international level long before Milan came calling. The fourth youngest player to take to the pitch in Serie A, El Shaarawy was by far and away Genoa’s brightest gem for a number of years. Not yet fully ready physically to become a regular starter, he trained regularly with the first team and was given occasional opportunity to get some game time as a substitute for Il Grifone. Aware that their gangly young striker really needed more than reserve team football, the young forward of Egyptian descent was sent out on loan to Padova, in what must be classed one of the finest moves for all parties witnessed in recent years. Taking Serie B by the scruff of the neck from very early on, El Shaarawy made light of his inexperience and scored goals aplenty alongside seasoned pro’s Davide Succi and Danile Vantaggiato. While the latter pair weighed in with a higher goal tally, Padova’s excellent season, in which they were unlucky not to return to the top flight of Italian football, was very much due to the heroic performances of a skinny eighteen year old. While Genoa may have had designs on promoting their talismanic young forward to the first team for the following season, Milan made sure they acted before anyone else was able to. A €10m transfer was agreed at around the same time that the Rossoneri were concluding a deal to take Zlatan Ibrahimovic back to Italy following an expensive twelve month sabbatical in Catalonia. After a debut against Napoli, El Shaarawy arrived as a substitute for the injured Alexandre Pato in a home Serie A match against Udinese. He had only been on the pitch for eight minutes when Antonio Di Natale did his thing and Milan were behind. Nevertheless, 19 minutes into the second half, El Shaarawy scored his first goal for his new club, allowing his sluggish team mates to salvage a draw. Politics, as someone probably didn’t once say, is a funny old game, and in Italy it tends to be more unusual than most. With the country in financial crisis, and with scandal enveloping Silvio Berlusconi, AC Milan became something of a barometer for Italia’s financial plight and general being. After decades of success - some very recent - and a penchant for purchasing the very best that world football has to offer, word soon got round European football’s elite that something of a fire sale was occurring in Northern Italy. In the space of little more than twelve months, what was almost a roll call of Europe’s most respected professional footballers had decamped from the Giuseppe Meazza. Cassano, Ibrahimovic, Thiago Silva, Nesta, Seedorf, Gattuso, Van Bommel, Pirlo, Ronaldinho, all gone. Nothing wrong with advising your more ‘senior’ players that they might be best suited to another club - Milan had retained a dad’s army tag for some time after all - however, in the past, those little periods of ‘moving people on’ had been minimal transitions. A freshening of the squad in previous years had often proved the catalyst for success - this is a club that had already got over Gullit, van Basten, Baresi, Maldini and many others - but this time, things were very different. Whereas the cream of the world’s emerging talent would have been drafted in, the names that have arrived at Milan recently are hardly those that could set pulses racing. Nigel de Jong, Giampaolo Pazzini, Francisco Acerbi while steady, would not be likely to invoke a series of trips to tattoo artists for the incumbent members of the Curvas Nord and Sud. Ultimately, Milan, like the Italian economy, hit something of a meltdown and a return to the top looks unlikely at best right now. But just to maintain a sense of balance, let’s get back to El Shaarawy, because this where we hit silver lining territory. While it had looked, initially at least, likely that he might have accepted another season on loan, El Shaarawy has grasped his opportunity to stay at a disheveled Milan in the most emphatic sense possible. Pato is still there, Robinho is still there, but there is absolutely no doubt who is the current king at AC Milan. At time of writing, El Shaarawy has hit a dozen goals from fifteen Serie A starts, a further four from nine in cup matches. Leading the line as a poacher par excellence, or as a creator of some repute, he has emerged as the golden boy of a new Italia. The prospect of an Azzuri forward line containing the massive explosive potential of Mario Balotelli alongside El Shaarrawy should be enough to induce a trail of saliva from your mouth. Right now, Stephan El Shaarawy is the closest thing that European football has to the new global champion elect, Neymar. Completely direct and very, very willing to pick the ball up from deep and attack defences, Milan have one of the world’s most exciting prospects on their hands. You’d better wipe your chin by the way.